Noble Electrical continue to receive recognition for their work. 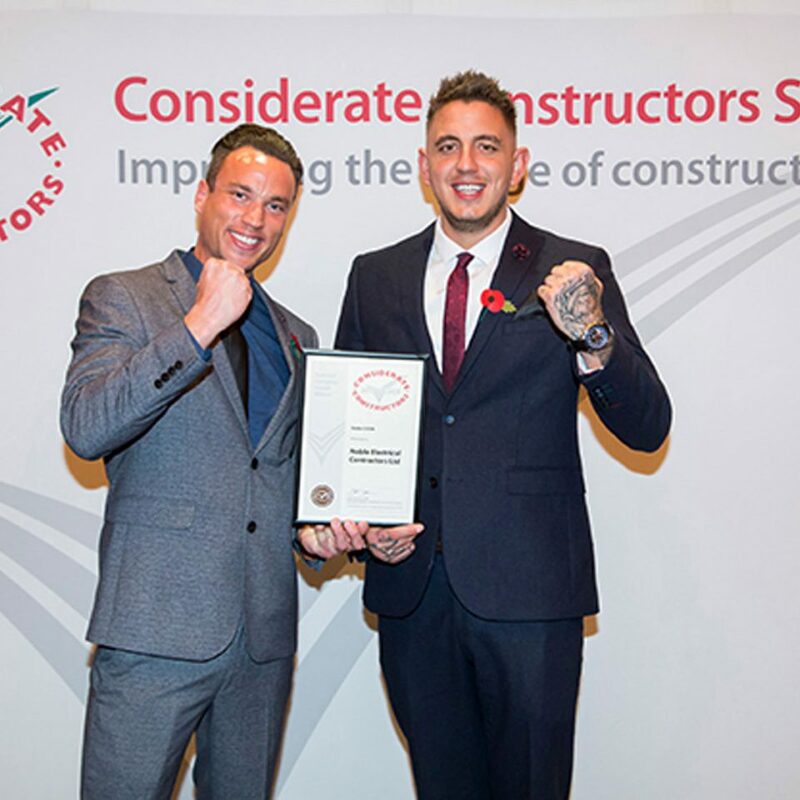 Noble Electrical Contractors Ltd has won a Silver Considerate Constructors Scheme 2017 National Company Award. Considerate Constructors Scheme 2017 National Company Award winners are selected from the top performing registered companies monitored between the 1 August 2016 and the 31 July 2017. Noble Electrical Contractors Ltd has played a fundamental role in improving the image of construction and is a credit to the industry. To read more please follow the link to our profile on the Considerate Constructors website. 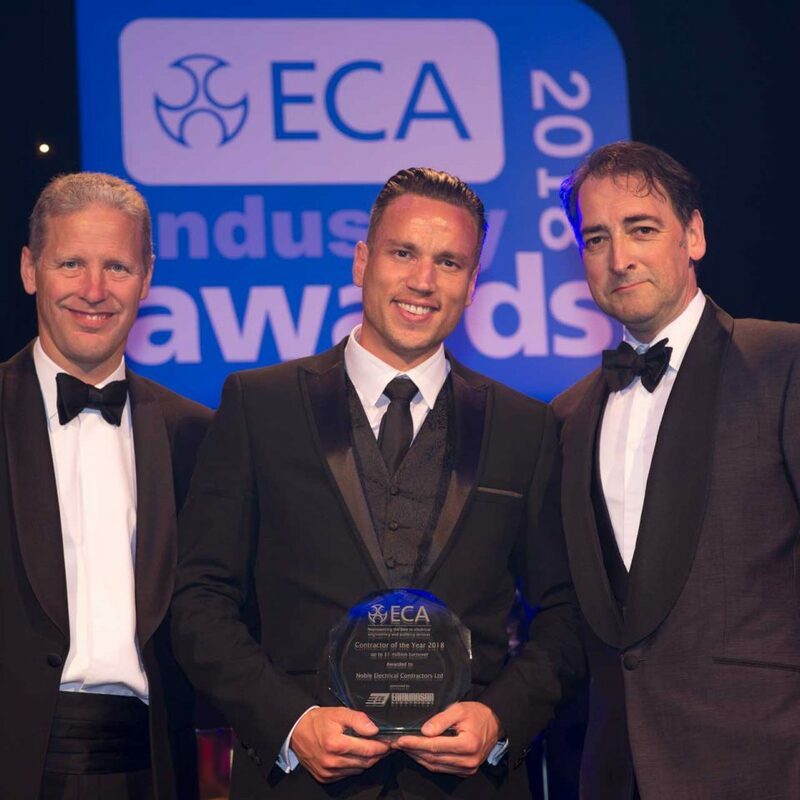 The Electrical Contractors’ Association Industry Award recognises the top performing electrical contractors whose projects embrace the latest in electrical engineering, display forward-thinking design and implementation and champion the highest environmental, safety and energy efficiency standards. The electrical contractor beat off competition in the ‘Contractor of the Year Award up to £1m turnover’ category from CTS Electrical Services and SJM Electrical Services who both gained ‘highly commended’. Noble Electrical Contractors was chosen by an independent judging panel for demonstrating high levels of both health and safety and excellent staff training. To read more please follow the link to our story on the Electrical Times website.